Are you running in the most famous of marathons? Do you know someone who is? 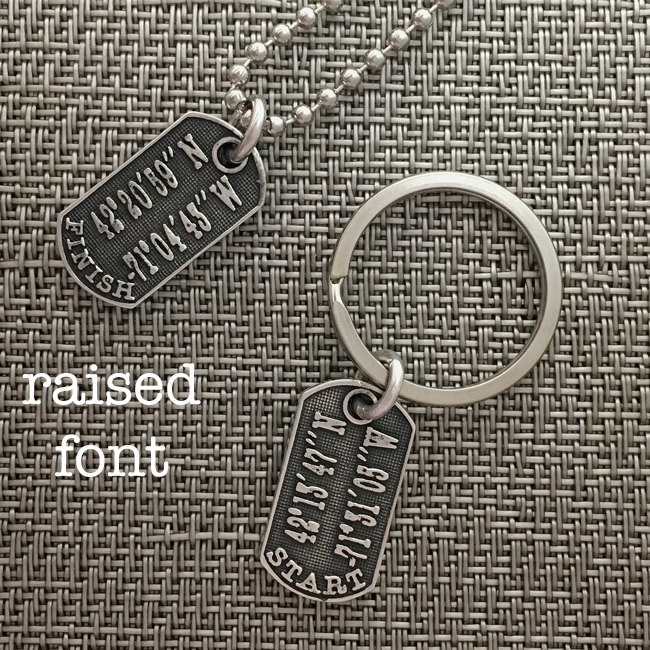 These sterling silver tags are either beautifully deep stamped with raised fonts, or smooth finish, your choice – the start line latitude/longitude on one side, and the finish line coordinates on the reverse. 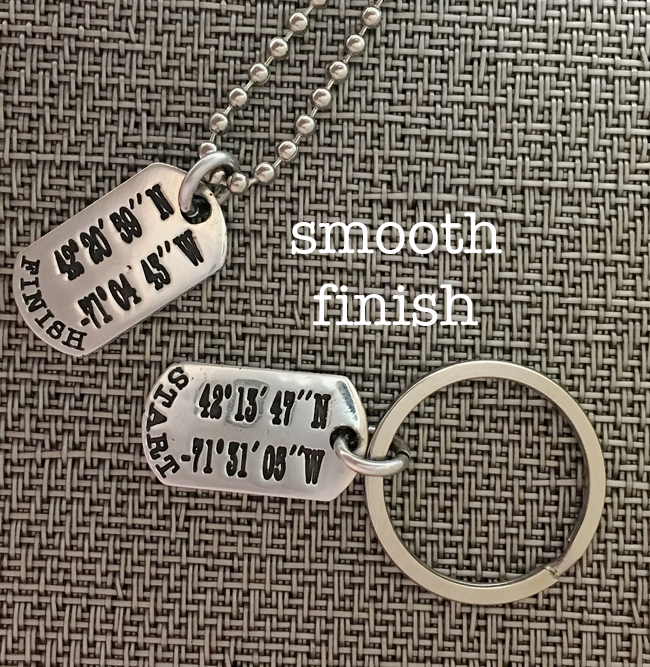 They measure about ½” x 1″ and we supply both the 24″ stainless steel bead chain, and the stainless steel key ring so you may wear it, or carry it with your keys. The bead chain measures about 24″ and you can cut it to any length you like.